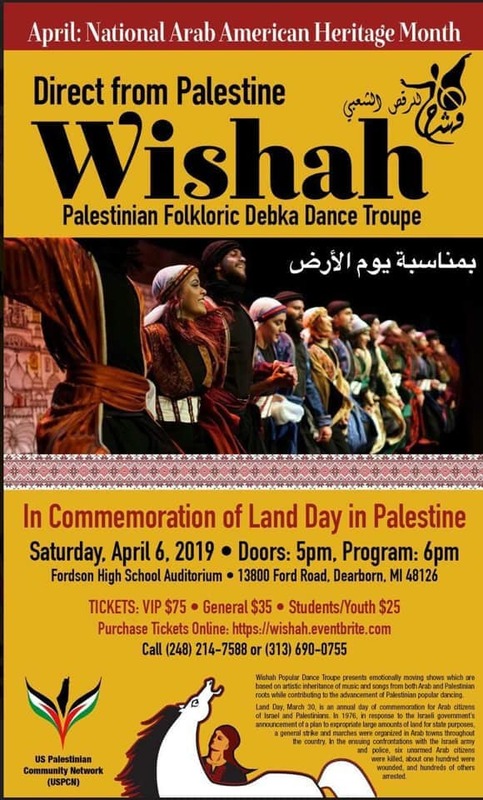 The US Palestinian Community Network (USPCN) will be holding a special cultural performance hosting Wishah, a Palestinian Folkloric Debka Dance Group direct from Palestine to Dearborn. The performance is in commemoration of Land Day in Palestine and celebrating the month of April as the Arab American Heritage Month. 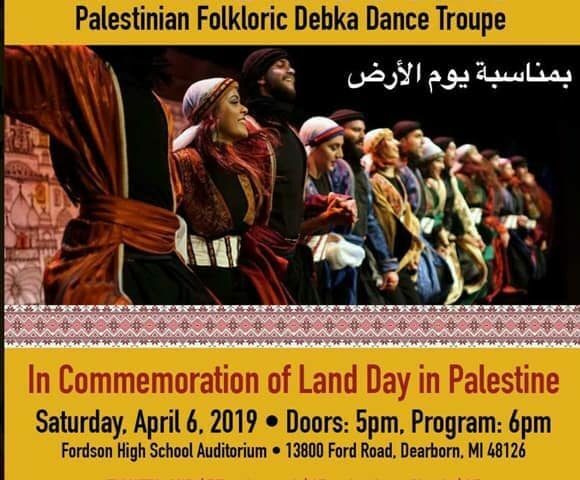 The event will be held on Saturday, April 6, 2019 at 5:00 p.m. at Fordson High School Auditorium on Ford Road in Dearborn. For tickets and information about the event call 248-214-7588 or 313-690-0755.